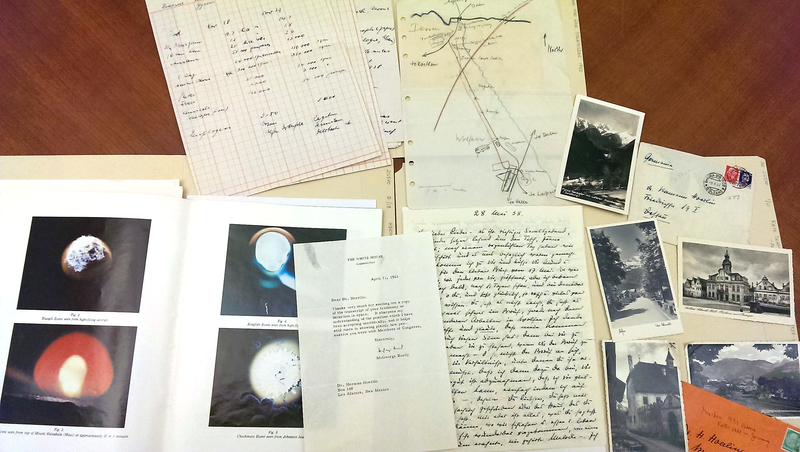 The Kate and Herman Hoerlin Collection, recently added to the LBI Archives, contains the papers of a couple whose lives took a dramatic course shaped by events as diverse as the Rohm Putsch, a German expedition in the Himalayas, and US nuclear testing in Los Alamos. Kate Tietz was born to a Jewish family but converted to Catholicism when she married the music critic Willi Schmid in 1921. 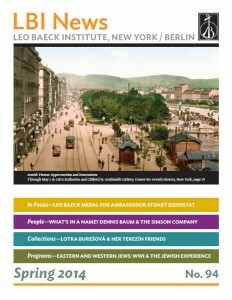 During the purge of the Nazi paramilitary group, the SA, in 1934, SS officers arrested Schmid in the Munich apartment where the couple lived with their three children. In an apparent case of mistaken identity, Schmid was executed that night without trial, presumably because he shared a name with a target of the purge. Willi and Kate Schmid had been working as press liaisons for the ill-fated German expedition to climb Nanga Parbat in the Himalayas. After Willi’s death, Kate Schmid continued this work, through which she met and fell in love with the world-record holding mountaineer and physicist Hermann Hoerlin. In 1938 the couple emigrated to the United States, and the following year they had a daughter, Bettina. During World War II Hoerlin aided the war effort by providing the US Army with his mountaineering maps of the Alps, including the Berchtesgaden area. In 1953 Hoerlin accepted a position as a group leader at the Los Alamos Scientific Laboratory in New Mexico, where his research focused on the environmental effects and detection of high altitude nuclear testing. The collection was assembled by Bettina Hoerlin, who used it to write the book, Steps of Courage: My Parents’ Journey from Germany to America. 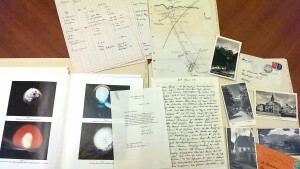 LBI Archivist Dianne Ritchey processed the collection and wrote the finding aid.